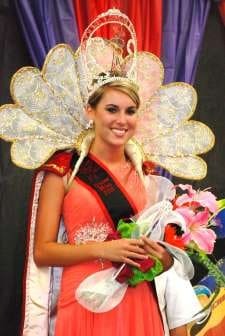 My name is Patten Allanna Gribbin and I am the 36th Annual Zwolle Tamale Fiesta Queen. I am the eighteen year old daughter of Mark and Shelly Gribbin. I reside in Many, LA with my parents. I have an older brother, Lance Gribbin who works in the oil and gas industry. My maternal grandparents are Sheldon Havard of Many and the late Patsy Woodle Havard. My paternal grandmother is Ms. Marla Gribbin of Many. I am a 2011 graduate of Negreet High School. While in high school I was active in several organizations such as FCA, SADD, Character Counts, Pro Start, 4-H and a Peer Leader. I was a member of the Lady Indian Basketball Team, Lady Indian Softball Team, Cheer Squad. I am proud to say I was elected to serve on homecoming court all four years of high school. I enjoyed travelling all over the state while competing on local, parish, district and state levels with my horse, Blitz. I currently attend Northwest LA Technical College where I am earning a degree in nursing, before I pursue a career in Mortuary Science at the Dallas Institute of Funeral Services. My family and I attend Pendleton Assembly of God Church, where I appreciate and love my church family. I enjoy horseback riding, mud riding, spending time with my friends and my Yorkie named Fancee, dirt and asphalt racing, and last but not least shopping. I would like to thank Griffin Lodge for sponsoring me in the Zwolle Tamale Fiesta Pageant. Also, I would like to thank all of my family, friends, and supporters for their help and encouragement. Last but not least, My Mom, for always being there beside me in all that I do. 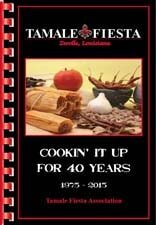 I look forward to all of the “fun road trips”, spreading the word of our Famous Zwolle Tamales! 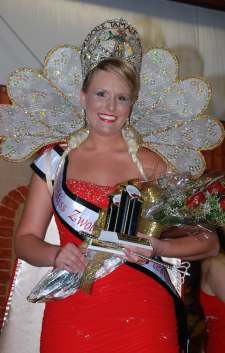 So grab your sombreros and join me the 2nd weekend in October for the 36th Annual Zwolle Tamale Fiesta!